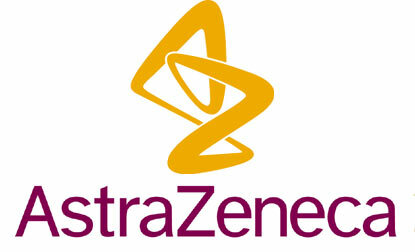 Recent trial data has shown that AstraZeneca’s Dapagliflozin cut the relative risk of major adverse cardiovascular events (MACE) by 16% compared to placebo in patients with type II diabetes who had a prior heart attack. In a second pre-specified sub-analysis of data from the DECLARE-TIMI 58 study, the SGLT2 inhibitor reduced the relative risk of hospitalisation for heart failure (hHF) in patients with the condition, regardless of their ejection fraction (EF) status, a measurement of the percentage of blood leaving the heart with each contraction, AZ said. “We now have new evidence from DECLARE-TIMI 58 that shows Dapagliflozin consistently reduced hospitalisation for heart failure across a broad range of patients with type II diabetes, regardless of their history of existing CV disease, including heart attack, or heart failure,” noted Dr Stephen Wiviott of Brigham and Women’s Hospital and Harvard Medical School, a senior investigator with the Thrombolysis in Myocardial Infarction (TIMI) study group and co-principal investigator of the trial. “These data build upon the existing evidence of the cardio-renal effects of Dapagliflozin, with important new evidence on heart failure and MACE,” added Elisabeth Björk, senior vice president, head of late Cardiovascular, Renal and Metabolism, R&D BioPharmaceuticals, at the drug giant. “Heart failure is one of the most common early cardiovascular complications of type II diabetes. Despite advances in healthcare, it remains as life-threatening and prevalent as the combined incidence of the top-four most common forms of cancer. Therefore, more needs to be done for patients,” she stressed. The data were presented at the American College of Cardiology’s (ACC) 68th Annual Scientific Session, New Orleans, US, and were published in the journal Circulation.